Pump Express offers precision laser shaft alignment for your pump system. 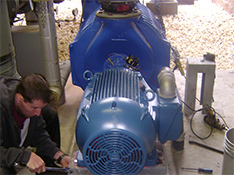 in pump and motor related systems. Up to 75% of all vibration related problems are due to misalignment. Managing these major equipment investments should be a priority.We use state-of-the-art precision laser alignment equipment to ensure proper shaft-to-shaft alignment. Misaligned machines contribute to huge costs in repair and production loss every year. By introducing preventive maintenance, including regular alignment control, you minimize the number of unplanned stops due to machine breakdowns. Call Pump Express's Planned Maintenance Dept. for a free estimate. 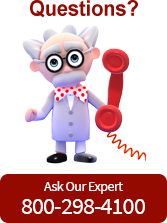 Pump Express can help you make sure your equipment runs as effiecently as possible. With our maninatce service we provide you with a solution before any major problems occurs that what you can keep cost down and keep your precision high. Cause premature wear of bearings, seals and couplings.